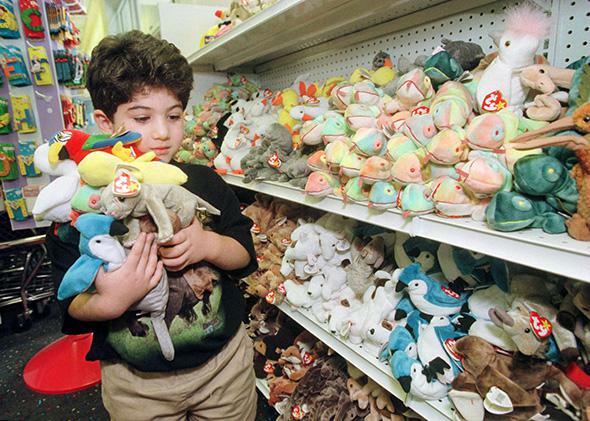 A 5-year-old boy holds an armful of Beanie Babies while shopping with his mother at the Zany Brainy Toy Store on Sept. 2, 1999, in Brentwood, Missouri. In July of 1999, I traveled with my family to Tenby, Wales. The town is said to be picturesque, but I have no memory of its scenery—except for a small toy store we passed on our drive in. As soon as we settled into our hotel, my sister and I begged our father to trek to the shop and search for the Britannia Beanie Baby, sold exclusively in the United Kingdom. The Britannia bear wasn’t just a toy, we explained; it was an investment, projected to be worth thousands of dollars within a decade. Our father capitulated and bought us each a Britannia bear, which we dutifully kept in mint condition with the tag intact, reveling in its rarity while dreaming of the day it would be a hugely valuable collector’s item. From this distance, it’s easy to laugh at Beanie Baby fever, to mock it as just another pointless fad in a chintzy, hollow decade. But in the latter part of the 1990s, Beanie Babies were so much more than a fad: They were a mania, an obsession that ensnared not just gullible children but also otherwise responsible adults who lost all sense of perspective over these plush playthings. People sold—and bought—some rare Beanie Babies for $5,000 each and expected others to skyrocket in value within a decade. 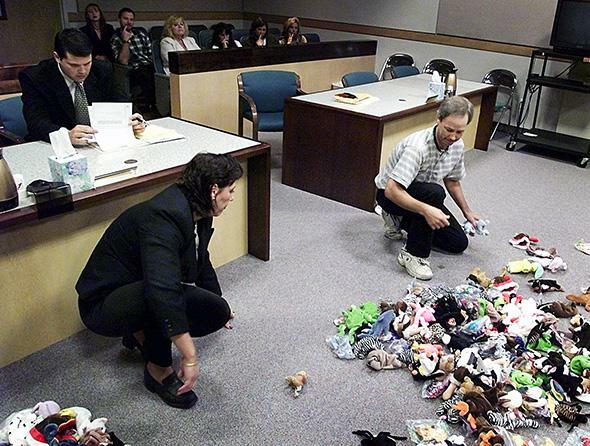 (Collectors were careful to keep each toy’s tag attached and protected by a plastic case; a Beanie Baby’s worth was said to fall by 50 percent once the tag was removed.) Looking back, it’s clear that the Beanie Baby craze was an economic bubble, fueled by frenzied speculation and blatantly baseless optimism. Bubbles are quite common, but bubbles over toys are not. Why did America lose its mind over stuffed animals? These theories may explain the mass delusions that enabled a large chunk of the country to believe that a $5 Beanie Baby could eventually be worth thousands. What they never quite get at, however, is that initial spark of fascination: how the ineffable appeal of Beanie Babies turned them, and not one of a thousand other 1990s trends, into a collective mania. That allure can probably never be quantified.